On 26 October 2015, Google confirmed the use of RankBrain, a machine learning artificial intelligence system, in processing the more reliable search results. After one year of introduction of Artificial intelligence, SEO Masters are realizing the significant reshuffle in ranking to confirm that the introduction of Artificial intelligence is changing SEO faster than you think and they need a holistic change in SEO strategy according to the new environment of algorithm setups. What are the critical fields in SEO that need your special attention with changed perception? After the introduction of Artificial intelligence, Google values the engagement metrics of a web page more than ever before. The metrics like bounce rate, conversion rate, average pages per visit, dwell time etc are measured to position a website in search results. Therefore, you need to focus on re-optimizing the website’ structure to simplify the navigation for the longer engagement. Social shares are the important ranking signal as these help the AI machines to assess the quality of content. The numbers of social share for a particular web page influence its ranking. Therefore, you need to focus on social amplification to promote your brand with enhanced authority. According to Edmond Lau, a former Google engineer, “Any prominent search engine will use CTR metrics to deliver the quality search results.” Udi Manber, Google's former chief of search quality, also confirmed the influence of Click-Through-Rate (CTR) on SERPs. Therefore, you need to focus on creating the enticing title- tags and meta-descriptions of the web pages for the distinctive identity. The introduction of Artificial intelligence helps Google to assess the relevance but it does not necessarily help in determining its quality. RankBrain optimization is incompatible with standard keyword research practices or tools. According to Moz, 70% searches are the long-tail searches. The long-tail searches are the most qualified searches because the user has a particular intention. Therefore, you need to rely on Google’s Search Console impression and clicks data to have a list of prominent keywords and to expand it with popular variations and synonyms. Researchers confirm that Google’s Artificial Intelligence works differently for different searches. 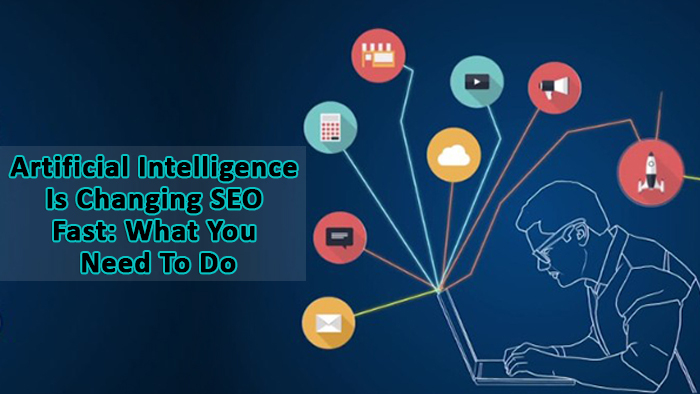 Artificial intelligence has flawed the regression analytical approach of SEO Experts still practicing bookmarked standard SEO tactics. Google’s RankBrain often works differently to analytical reports. In each search, Google follows a different set of algorithms. Therefore, you need to know the particular effective algorithm metric for each web page prior to structure SEO strategy for the website. Surely, SEO is changing fast to survive after recent Google algorithm updates. While emphasizing upon Analytical Keyword Optimization, one must track the prominent keywords being used by the close and better trending competitors.